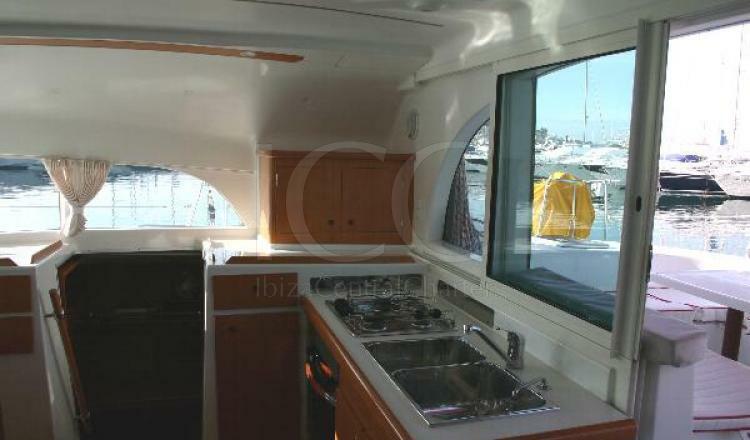 Rent this catamaran in Ibiza is the best choice for the best luxurious family holidays. 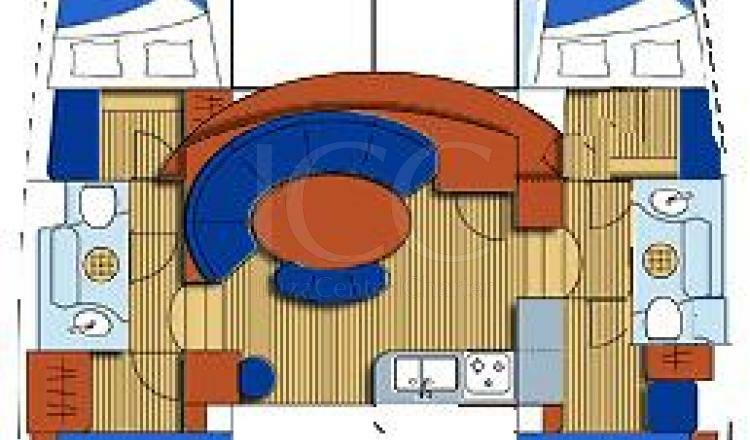 This LAGOON 38 is distributed in the best way to provide more space and comfort. It has a living room and a kitchen with a refrigerator in the central area of the boat. The area outside the Lagoon has ample spaces where there are a bath and a great area for sunbathing while surfing the waters of Ibiza and Formentera. 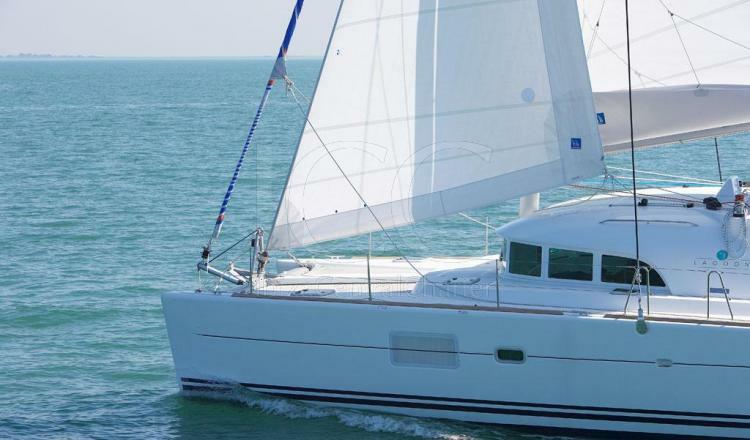 The Lagoon 38 is one of the best sailing catamarans. It is provided with a generously sized mainsail. It leads a very comfortable maneuver to navigate Ibiza sailing comfortably, easily reaching speeds of 8 knots with crosswind. The battened mainsail carries and 3 pairs of curls, so you can accommodate the sail to the wind intensity surface, also maneuvers hoisting and lowering are very simple. 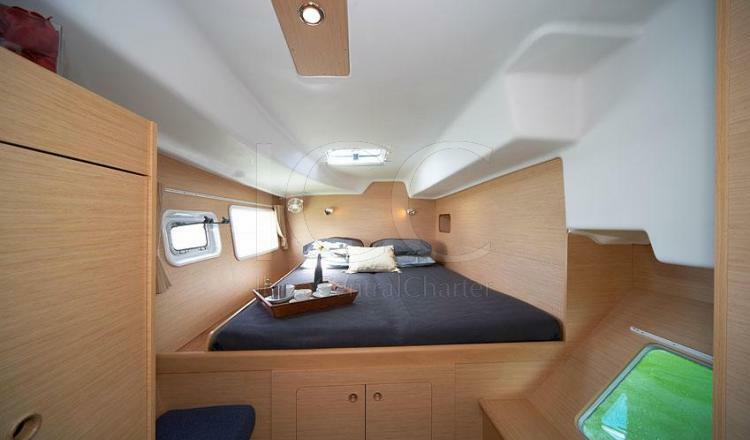 It has two cabins and a bathroom in each sides of the skates catamaran offering accommodation for 8 guests with all the safety, comfort and privacy that may be desired. The beds are especially comfortable and also all cabins have independent access and a wardrobe . 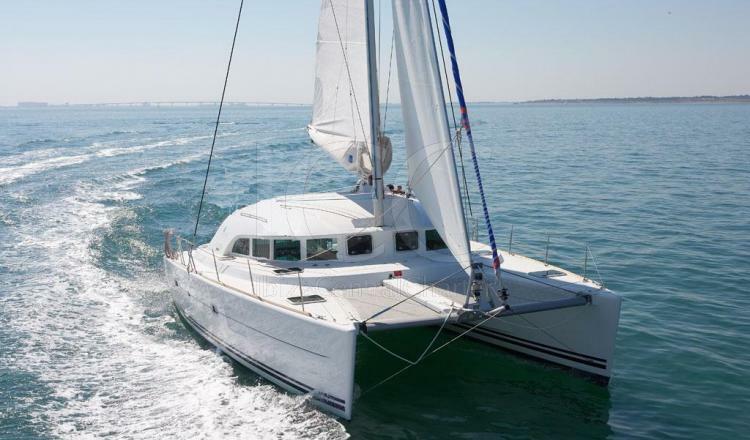 This beautiful catamaran is available for rent without skipper if you have the required knowledge and qualifications. If not, a skipper will accompany you on your holiday and will be in charge to take you to the most beautiful places on the island of Ibiza. - Dinghy with outboard motor. - Full equipment according to the description of the ship and inventory. - All insurances are included and also authorizations. Insurance with a franchise of 2000 euros. In case of accident, the security is withheld to give the insurance part. - Sheets and towels: 15€/person. 50% by booking by bank transfer to our account. 50% in cash when boarding. The cost of canceling a reservation more than 60 days of boarding is 20% of total rent. Between 60 and 30 days is 30% and on last 30 days before boarding is 40% of total rent. - The boat is delivered with full tanks and must be returned in the same way. Otherwise that comsumptions will be discounted. - Check-in : will be at 16:00 pm. - Check-out: will be 21:00 pm.